You may also see them referred to as post-termination restrictions – they are one and the same thing. How long can a restrictive covenant last for? Time periods will differ – typically they can be stated to last between 3 – 12 months. The starting point is that attempts by your employer to stop you from earning a living will not be valid unless your employer can show that there is a good reason for having the restriction and it is not too wide or unreasonably drafted. So how will I know if they are enforceable or not? Are the restrictions limited by a geographical area? How long are they stated to last for? What is your employer trying to protect? If my contract contains restrictions and I want to change employers, what should I do? If you are worried that you may be in breach of any restrictions, it is very important to get legal advice. Whether you need to be worried will depend on what your new job is, will it mean working for a competitor, will you have the potential to entice away customers or staff? The enforceability or not of restrictions will depend on a variety of different factors. We will be able to review the actual wording of your restrictions and advise you as to whether they could be valid. I have had a threatening letter saying I am going to be sued for breaching my restrictions. My new employer has had one too. What should I do? It is important not to agree to anything until you have taken tailored employment advice. Sometimes letters of this type are sent as a warning to try and scare an employee. In most circumstances, a detailed review of your situation will allow a full response to be given that can defuse the situation. If you have any concerns, you must speak to a solicitor to see if they can help. 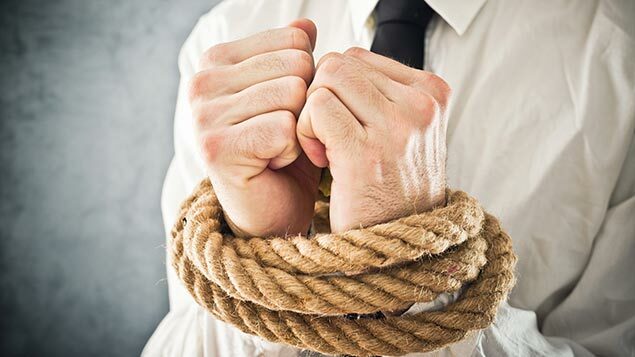 For further information on restrictive covenants and restraints of trade from an employer or employee perspective, please contact our specialist employment law solicitor, Karin Henson directly on 0121 392 7479. Aeris Employment Law is based in Solihull, West Midlands but we have helped many Companies and Employees across the United Kingdom.